This day was so wild. 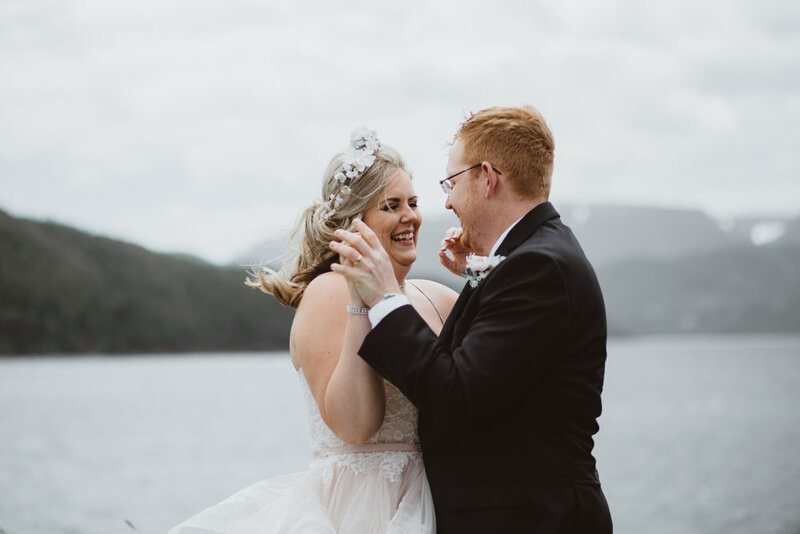 Megan + Jonathan made their way to Gros Morne National Park from their home in PEI for their elopement and chose a beautiful meadow in Norris Point with a view of the Tablelands for their ceremony. The wind was absolutely WILD that day, but these two were totally up for the adventure. We went out wandering in a full arc of Bonne Bay, seeking out all the best mountain views, and wound up heading into the Tablelands at the end. What a day.